Producer, director, co-executive producer… call him what you want, whatever Michael Steed touches turns into much-lauded food television gold. 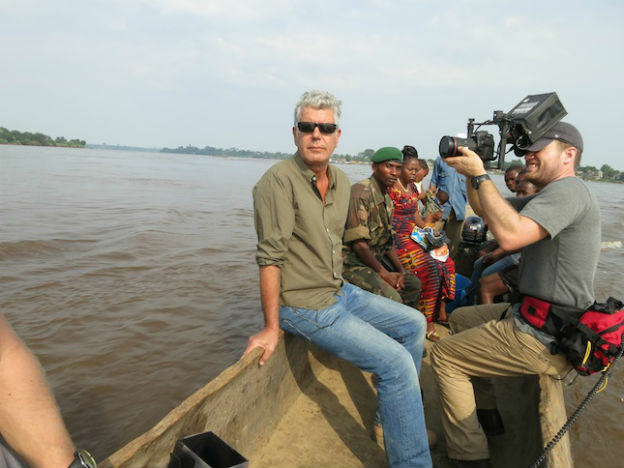 He’s taking time out of his busy fall shooting schedule to tell a few stories from the trenches the world over and may even give the audience a couple of recipes for creating award-winning content. This session will be moderated by Devour! Board member Rachel Low, award-winning executive producer at madHIVE MEDIA. 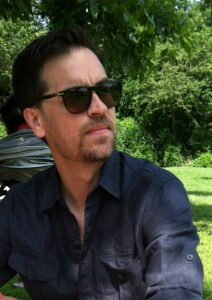 As co-Executive Producer of the PBS program, The Mind of a Chef, Michael Steed has gained national recognition for quality food documentary programming. Michael has served as co-Executive Producer of The Mind of a Chef since its inception, which has earned the James Beard Award for Best TV Program on Location for two consecutive years (2013 and 2014), as well as the Daytime Emmy for Outstanding Culinary Program in 2014. Since the start of his career in 1999, Michael has created content for networks like The Travel Channel, A&E and Bravo. He also serves as a producer/director of CNN’s Anthony Bourdain: Parts Unknown, which won the 2013 Emmy for Outstanding Informational Series or Special. Rachel Low is an award-winning executive producer who has won five Gemini awards for her work in factual entertainment and documentaries. 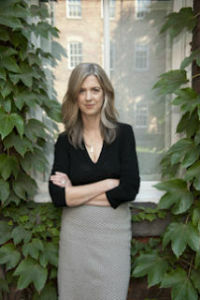 Prior to joining forces with Robyn Hutt to found madHIVE MEDIA, Rachel was President of Red Apple Entertainment where she oversaw the development and production of hundreds of hours of programming for networks including Biography, CBC, Discovery Times, History, Food Network, Court TV, truTV, Cooking Channel and international distributors including Beyond Distribution, RDF and IMG. She also served as Vice President of Shaftesbury’s factual entertainment division. Rachel’s hit series include several high profile Food series including Pitchin’ In, Opening Soon, Fink, Chef School, and From Spain with Love. Her ground breaking documentaries include Why Men Cheat, Gamer Revolution, Who’s Sorry Now?, Surviving the Future, The End of Men, The Disappearing Male, and Talkin’ About AIDS. Rachel has won a James Beard Award for Best Television Special for Morimoto Raw, for Food Network, USA. With a wealth of experience behind her, she was recently the executive producer of How We Got Gay for CBC, After Digital for TVO and the Documentary Channel. She is currently producing a documentary on Transgender for CBC and developing a drama for Discovery Canada.